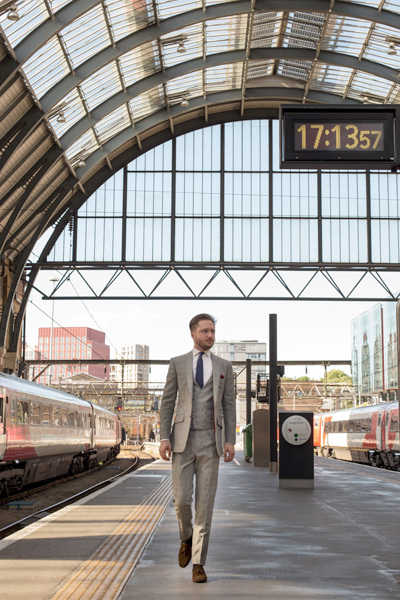 This young London gentleman is wearing a grey Prince of Wales check suit and this represents an everyday business ensemble, which makes it especially relevant. This suit is made from a high end, hard-working spun wool and, as a result, exudes a finely-cut style with an elegant tailored finish. 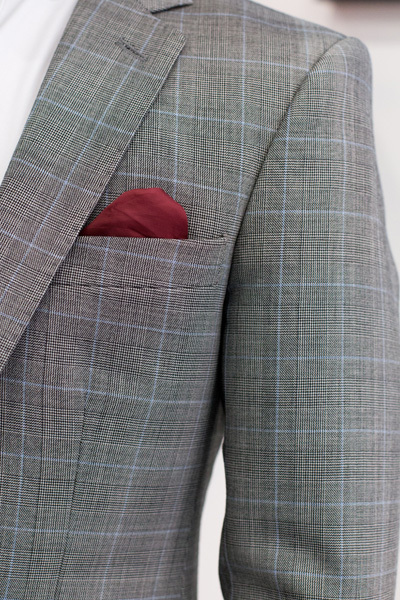 This medium wool suit is also hand tailored and was made and cut in England. This process takes approximately 8-9 weeks to complete, unless you opt for our Express Service. 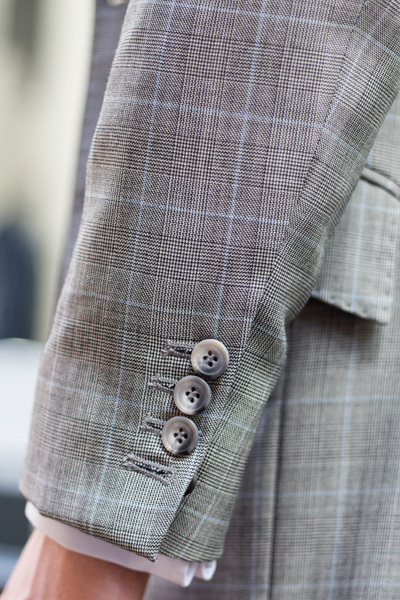 We provide a halfway baste fitting, followed by a subsequent forward baste fitting, ensuring that the suit is finished and delivered within a service and timescale that consequently meets our Clients’ wishes. Holland & Sherry manufacture the cloth and, believe it or not, there is a rich and thriving textile production industry in the UK. Drapers, the industry magazine, have recently confirmed the growing momentum of the ‘made in Britain’ movement. See also: Bespoke Prince of Wales Check Suits, Double Breasted Prince of Wales Check Suits, English Wool Prince of Wales Check Suits, Prince of Wales Check, Prince of Wales Check Suit, Prince of Wales Check Trousers Mens, Prince of Wales Check Waistcoats, Savile Row Prince of Wales Check Suits, Three Piece Prince of Wales Check Suits. 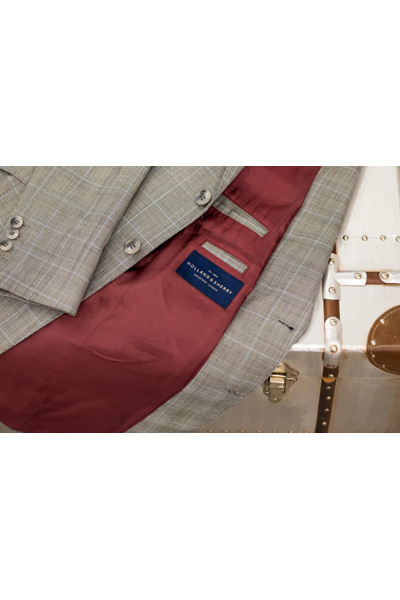 Prince of Wales Check Waistcoats Archives - Bespoke Suits By Savile Row Tailors.